You are here: Home / Blog / Can You Run A Business On The Road / Can You Run A Business From The Caravan? Yes You Can! Can You Run A Business From The Caravan? Yes You Can! When we decided to “hit the road” in 2010 and turn our backs on the rat race we knew we’d need to rely on our resources to make the financial side work. Life on the road still requires money, and, depending on what you do, that can be quite a lot. We had no superannuation to speak of and no pensions to rely on, so we’d need to work. We’d been creating software applications for operations management for some years, and we wanted to continue this from the caravan. The trouble was all our applications were legacy programmes that required installation, upkeep, hands-on help and constant re-installs every time we made an update. And times were changing as well. We could see that the old legacy programmes were losing their shine very rapidly. We believed cloud-based, subscription applications would grow rapidly and make old, crocky applications redundant. We were right. Cloud-based application usage exploded! So, our challenge became to redesign and throw out. Throw out any doubtful applications and reprogram the good ones for the cloud. It would mean countless hours of intense work from the caravan with no immediate financial return. We did have a little nest egg tucked away, so we decided to bite the bullet and go ahead and DO IT! Then, as we were in the final stages of leaving our nest egg got stolen! STOLEN! Kerrie had already given up work for the university, and we had spent what little ready cash we had converting our old ’71 Viscount caravan to incorporate a space where both of us could work and live. We could still cancel everything as we were sure Kerrie could get her job back, but we decided to go anyway and trust God for the finances. On the day we left my wonderful brother gave us a gold coin. That gold coin became the difference between making it and breaking it. We’ve changed any things from that original vision. 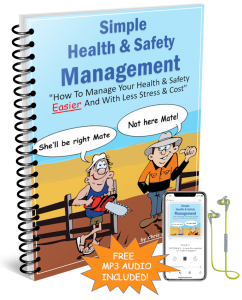 We’ve worked with some of the finest people we’ve ever met and formed incredible friendships but most of all, from a business perspective, we’ve learned to concentrate on one software application only – Simple WorkSafe. We learned from the farms and earth moving companies we worked for and the countless business operators we met that health & safety was becoming harder to manage and yet the consequences of NOT having it were growing. Many businesses we had contact with were undergoing actions of some sort relating to health & safety. We realised that none of these businesses operated their accounting with paper and filing cabinets anymore. They all used software, and yet the management of their health and safety (which could potentially cost much more if it failed) was a mish-mash of paper templates and files. So, this became our goal to not only design and create a simple, easy to use, cloud-based health and safety management system but to market it 100% via the internet. It required a massive learning curve, but the journey has been an exciting and eventful one. We’ll continue to post about the progress of the business. 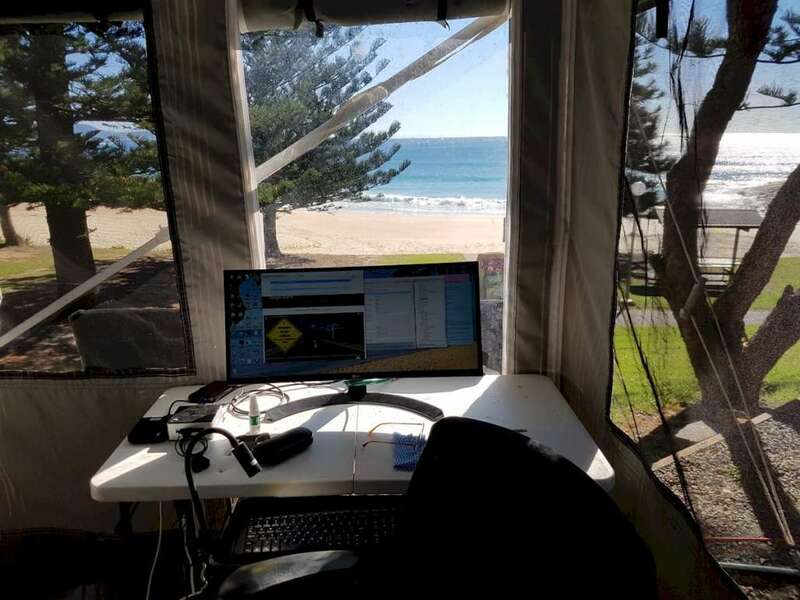 https://wanderingaustralia.com.au/wp-content/uploads/2019/01/SWRocks-Office.jpg 904 1204 Jonesy http://wanderingaustralia.com.au/wp-content/uploads/2019/01/WebsiteLogo.png Jonesy2019-01-22 19:50:062019-01-23 09:37:52Can You Run A Business From The Caravan? Yes You Can!